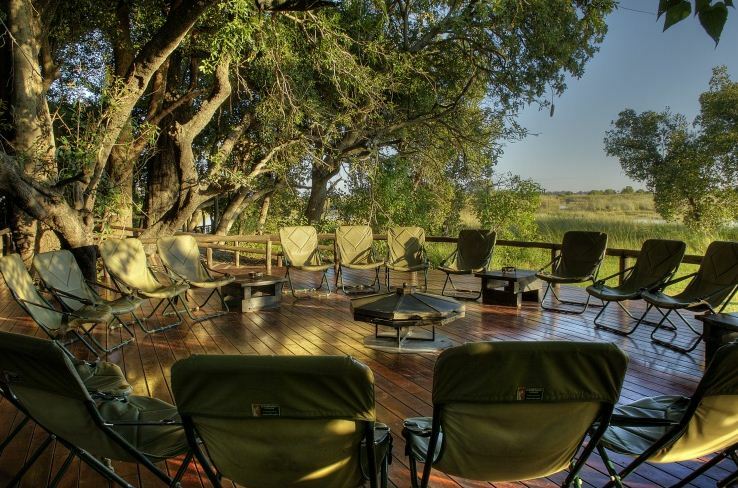 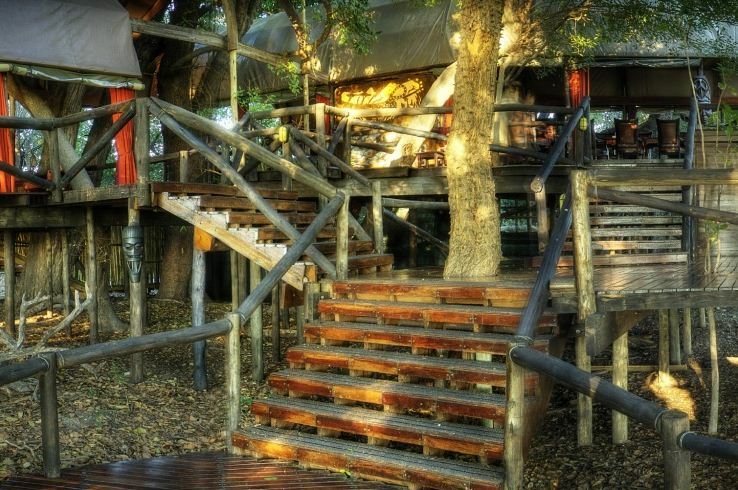 Nestled on a lush palm island in the heart of the northern Okavango Delta, Shinde is an intimate camp located on the edge of Shinde Lagoon, which simply teems with animal and birdlife. 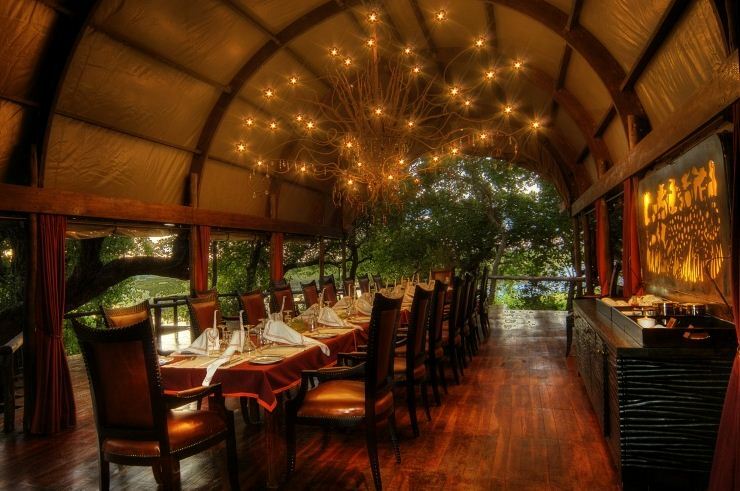 The camp’s unique main area comprises a multi-tiered dining room and lounge set under canvas amongst the shade of ebony and mangosteen trees to complement the atmosphere of this original safari camp. 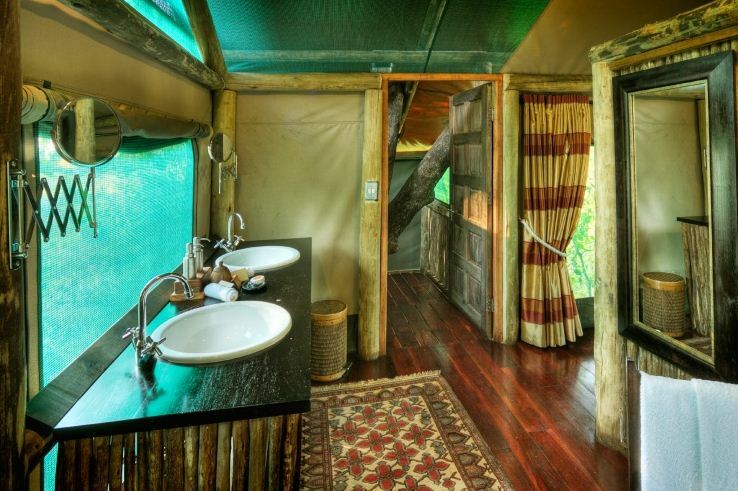 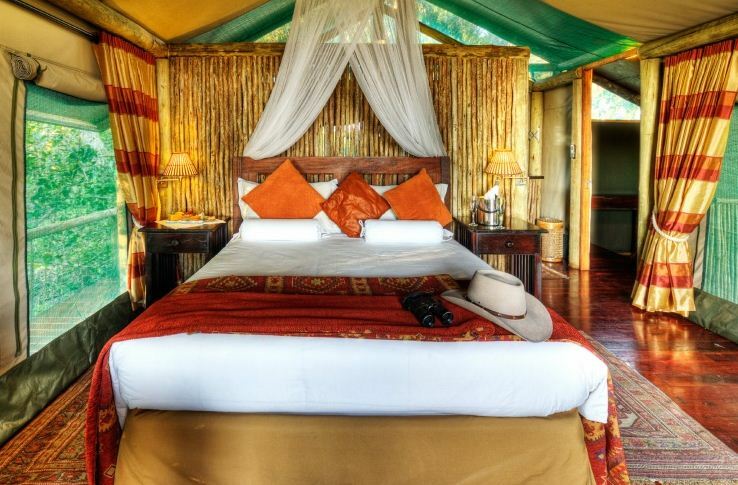 Shinde comprises eight twin-bedded classic safari tents, each with an en-suite bathroom, hot and cold running water, and flush toilet. 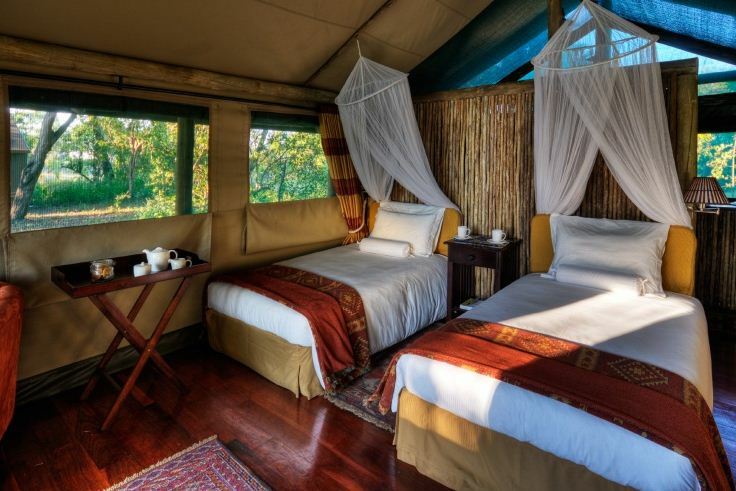 Accommodation is generally twin share on comfortable three quarter-size beds, however double accommodation is available on request. 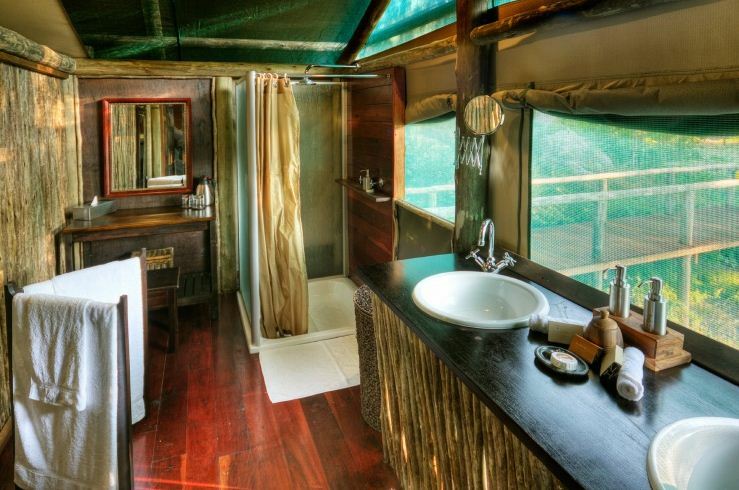 Every possible comfort has been catered for, from generated electricity and a private viewing deck through to a handy flashlight. 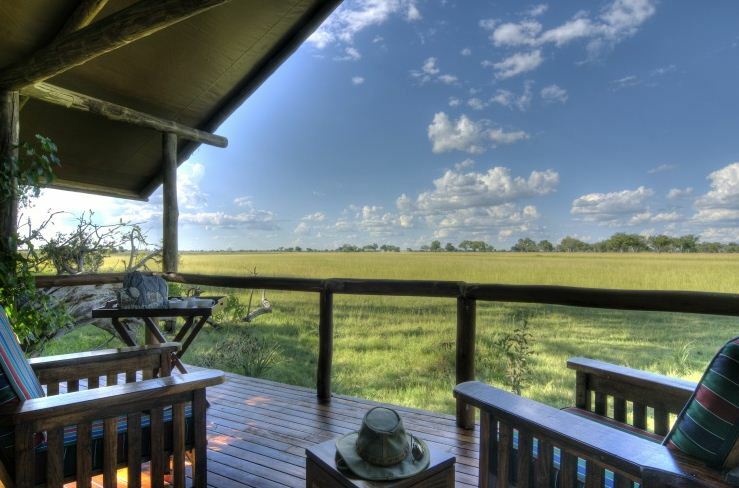 Each tent is strategically positioned to offer splendid views, whether across the Okavango Delta’s mysterious waterways or open grasslands. 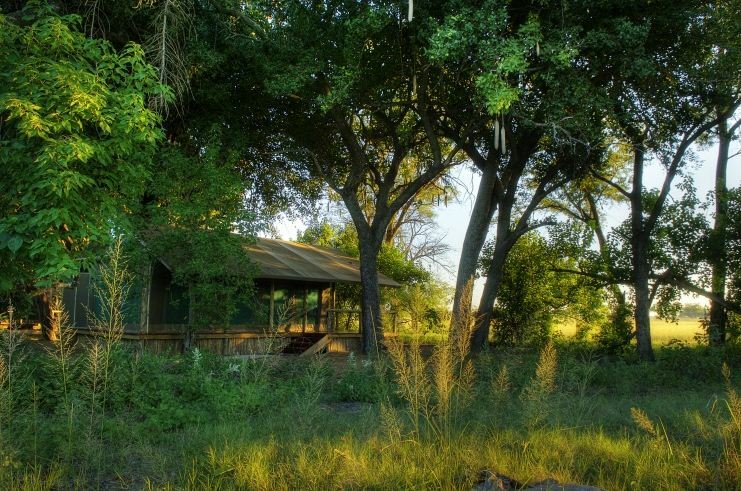 Shinde offers a diverse range of activities, courtesy of its location which affords both water and land activities year round. 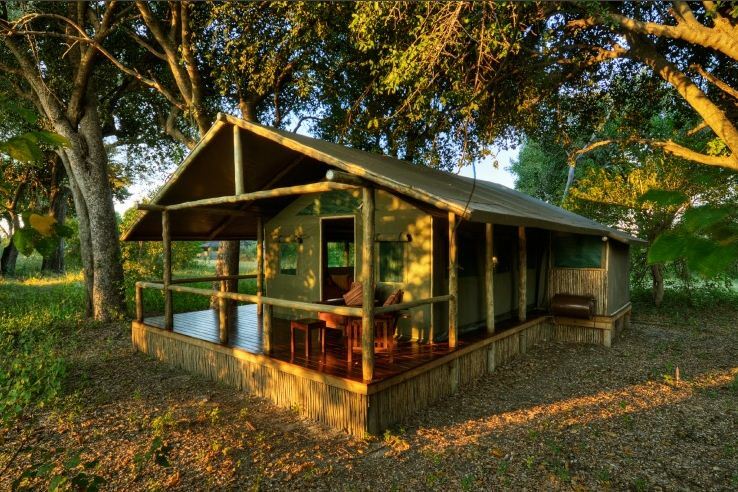 Motorboats or mokoro provide a chance to experience the incredible bird, plant and reptile species found in the aquatic habitat of the Okavango Delta.